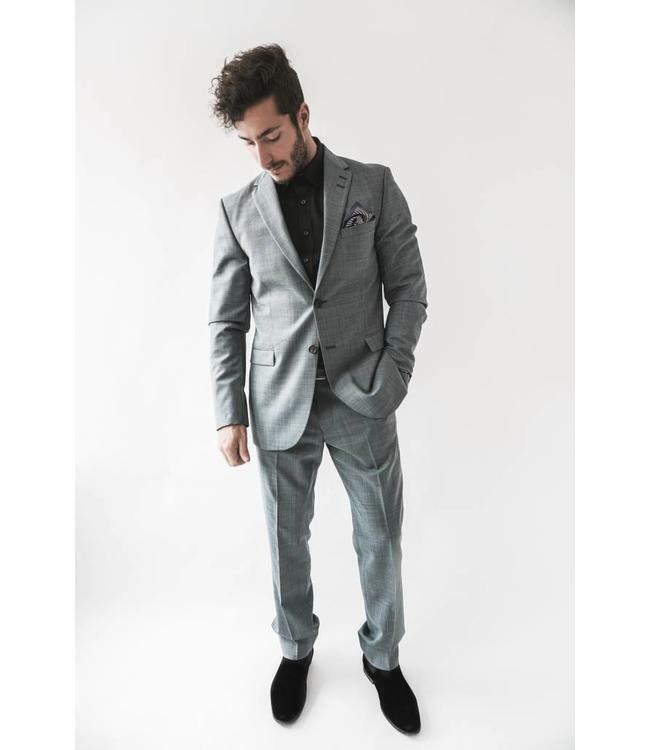 Men's semi-slim fit suit in rustic tropical wool. Blazer with slightly wider notch lapels, two-button front closure, straight jetted flap pockets and double back vents. Comes with Malthe trousers featuring low waist and semi-slim leg. Knee-length lining.